The fact is, mobile is no longer just an exciting new addition to fundraising or engagement, but a tool that supporters expect you to have. The data around mobile proves it is a worthwhile venture for many nonprofits – beyond times of disaster. More than 20 percent of a typical organization’s web traffic comes from a mobile device. (Do you know your number?) Those users are generally more engaged online, through SMS, and donate via text as well as in other ways. Before the thought of adding yet another piece to your fundraising puzzle becomes too daunting, here are a few important points about mobile from the mGive Foundation. 1You become a part of your donors’ world. Mobile phones are the centralizing point for many people’s day-to-day activities including social media, photo sharing, email, phone calls and text. People determine what information they want to receive via mobile – and how – and because of this, are very likely to stay engaged with a cause to take action when prompted. The power of how that technology can be used to benefit your nonprofit is truly just starting to evolve. In order to reach the potential supporters you have at your fingertips, you need to have a fully integrated strategy – and mobile tools that can effectively do the job. Mobile technology is evolving, empowering supporters to cross communication channels and ultimately bring offline experiences online. With the power to post to social media from a text message or link to the mobile web from an email, to a multitude of other options—mobile is expanding the reach you have with both prospective and current supporters at all times. 2Capture donor information and then add the info to your database. Asking people to fill out a form or to take an online poll still works in the traditional sense, but what if you could capture the information via mobile? Even better, what if you could collect the data shared in the heat of the moment vs. only when someone is online? Then use that data to drive awareness, giving and more when you combine it with information you already have about your supporters? Organizations can use mobile to conduct polls, receive live feedback at events, track open rates of text campaigns, generate ROI for social media through giving apps and social sharing options, plus so much more. In addition, nonprofits can gain a broader and deeper understanding of their supporters when combining mobile behaviors with more traditional information probably already housed in your CRM system. 3The mobile device is a hub of activity for many people in the U.S. If your supporters own a mobile phone, they likely have a smartphone or will soon. Most probably use it for text, to visit websites, to post to social media sites, to email, to share photos and videos – and occasionally actually use it for phone calls. If you could determine what supporters are doing, how they are doing it, when they are doing it and then ask for them to take action through mobile, you may be surprised at the results. So collect what you can, when you can about mobile behavior to run more robust reports and drive additional engagement. 4Mobile engagement creates a more personal relationship between you and your donor, but it’s also a relationship that you can measure. When your organization sends out a mobile call-to-action, the feedback you receive is more immediate and complete, allowing you to tailor your fundraising strategy for better results. By measuring opt-ins, click through to links, donations, and even opt-out numbers, you can more closely monitor the temperature of your donor pool, to create tactics that resonate. Capitalizing on this mobile revolution is not just about increasing mobile databases or building more robust donor profiles, it’s about finding better ways to change the world. 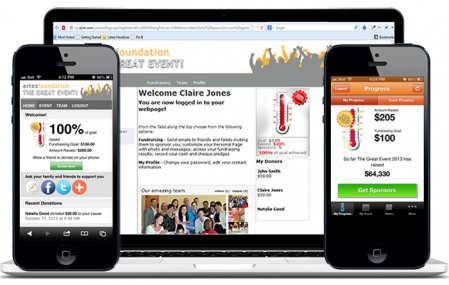 It has never been easier for donors to help those in need with just a few clicks on their mobile phone. 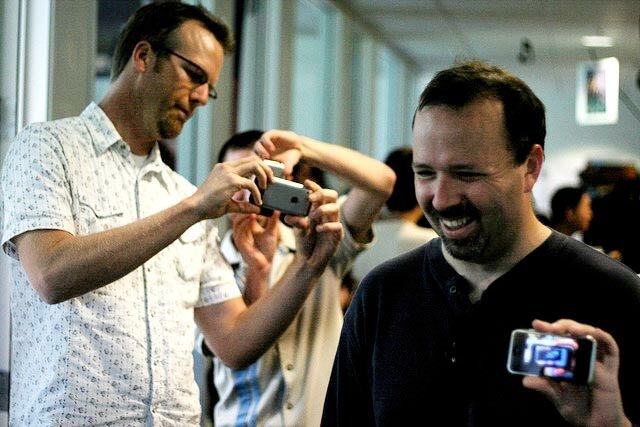 Mobile allows everyone to become an everyday philanthropist and for your organization to benefit from the results. Not sure where to get started with a mobile strategy? First, start by changing every form (online and offline) to capture a mobile number. Chances are, that’s the information you are collecting anyway but you may not have it labeled correctly in your system. If your data is only as good as what you put into your system, you sure want to make sure you are putting it in correctly! Once you start collecting mobile data, start reviewing the profiles of donors and supporters with mobile numbers flagged in your system. You may be surprised at the trends around age ranges, giving rates, volunteer hours and more. That valuable information will guide you down the path of an effective mobile strategy for your organization. Cassie Bair is the VP of Marketing at Mobile Accord. Cassie has worked with many U.S. nonprofits leading marketing, strategic partnership, mobile and cause marketing initiatives. Jenifer Snyder is the Executive Director of The mGive Foundation. The mGive Foundation furthers the mobile channel for social good through education and policy initiatives while supporting mGive clients engaged in mobile campaigns. This article originally appeared on the NTEN blog. I manage a web site for a national non-profit, and more than a third of our traffic is from mobile devices. We’re in the process of building a mobile-friendly site, and this is great information to have.